What fun. Eva certains sounds like a ball buster. 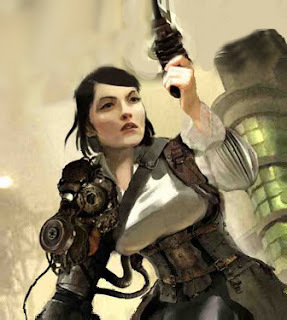 "... with his style of Steampunk called Noird, a fusion of Noir and the New Weird." And here I thought I'D coined "Noired" back in June when I put together my cross-genre noir reading list. Phoey! 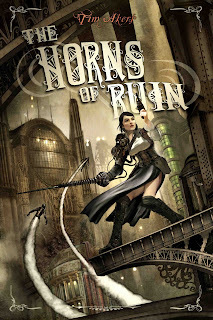 I'm going to have to add The Horns of Ruin to my Noired Reading List now. Yay! I've always preferred the term "Noir Weird" but I'm not China, am I?